It’s not Insomnia, per se. My work schedule has me working nights and my family doesn’t work nights. On my days off, I adjust to a schedule more like their so that I can see them more hours of these precious few days off. I wouldn’t trade this time with them for anything. This “Jet lag” cycle continues week after week, and the best way I know how to cope with this is simply to STAY UP for one mega long day on the first day, and then sleep when I’m exhausted following that first shift. What does that mean? About a 27-32 hour day that first day, driving home when I’ve already been awake for more than 24 hours into blinding rising sunlight and totally throwing off my circadian rhythm. On long enough days, I can literally “see” tired in front of my eyes as my body attempts to steal moments of Micro Sleep. Curious what longer periods than this can do to your health? Check it out here: What happens when you don’t sleep? 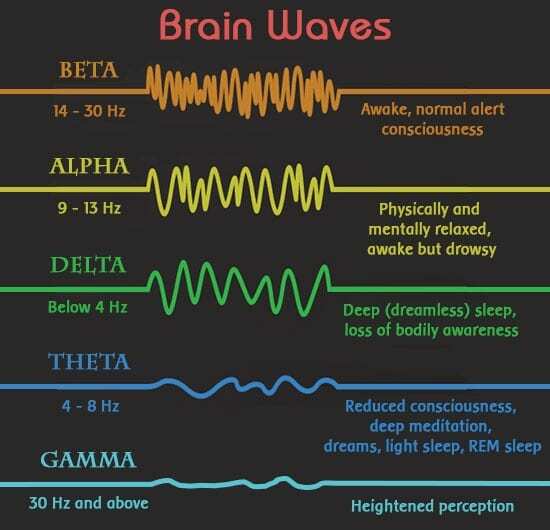 The brain is pretty incredible, and we can see physically on EEGs what various phases of sleep looks like, in terms of our brain waves here. What I didn’t realize, and learned through trial and error, is that my sleeplessness is contagious…I’m not sleeping because my job mandates it, but the lady of the house is also not sleeping. She’s been finding herself staying up later and later in bouts of sleeplessness. We all do better in the home when Mama is well rested, so we need to find a solution to this newfound issue. I do my best to support quick naps and time away from the #hustle and bustle, but there are only so many hours in the day. Do any of you have any ideas that would help? Shift work can be challenging. Working nights is something everyone should try. There’s a quiet peace in the nighttime. Absent the hustle and bustle of the daytime, minus the line-of-sight tastings, it takes a self-starter to keep focusing on your goals. Programs like #before5AM, assume a “normal” workday of 9 to 5, where getting up in the quiet hours before 5 AM, people can leverage the night to improve their productivity. Living off the beaten path is interesting. The same model doesn’t work for everyone. If working night doesn’t give you insomnia, it will, on occasion put you into bits of sleeplessness. This week, transitions between night shift and “day walker” hours has left me with a couple longer than 24 hour long days, with the remaining days at less than 4 hours of sleep. During one of these episodes I came across the phrase #teamNoSleep and immediately became obsessed with the idea. I’m going to see if this company, @glittersips can customize me a coffee travel mug with the phrase. There is something very fun and often very funny about being awake for a long time. I can’t find the photo I saw this week, but @SnarkyNurses put out a meme that cartooned “That moment when everything is you’ve been up so long that everything is funny.” Sure, it might just be brain injury, but there’s no sense in wasting the reality of being really tired in complaint. I say jump in with both feet and feel all the feels of tired. Sure, you might be hearing color or seeing waves in your vision, washing you into a quick burst of micro sleep…enjoy it, it won’t last forever.